For years, KDE software has included a semantic (relationship-based) searching infrastructure. Since its implementation, our developers received and digested a lot of feedback. Much work was put into improving the speed of indexing, keeping it out of the way of users and making Search more reliable. The upcoming release of KDE Applications (version 4.13) will introduce the next step in the effort to improve the performance and stability of search features in KDE software. The improved Semantic Search is lighter on resources and more reliable than it was previously, but, thanks to considerable reuse of existing code, it is mature and offers a complete feature set. Read on to find out more about the improvements to KDE's search, tagging and semantic technologies. Today KDE released the first alpha of Frameworks 5, part of a series of releases leading up to the final version planned for June 2014. This release includes progress since the Frameworks 5 Tech Preview in the beginning of this year. Bug fixes in KDevelop and more. Numerous bug fixes in KMix. 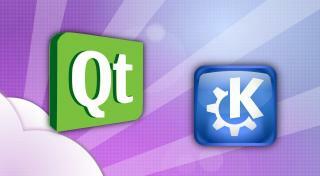 Qt5/KDE Frameworks 5 effort includes porting and enabling SMB kioslave to Qt5/KF5. Interesting work in progress: server-side search in Akonadi, online banking including sending credit transfers in KMyMoney. KDE Frameworks continues in klipper, system tray, KAlgebra and more.